We have kittens from 8 weeks old. Some of our adult cats are loving pets who’ve been dumped in Temples and are gorgeous and very friendly. Come and spend some time with them and find the one(s) just purrfect for you! 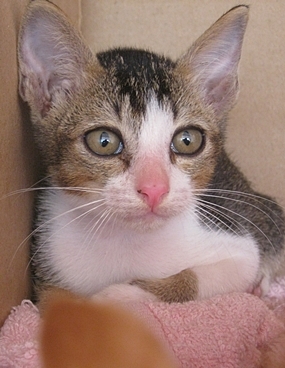 All cats & kittens are vaccinated and litter trained. If over 6 months old, they are also sterilised. We are a pro life, non profit rescue group. By appointment only please: Call Fon 0816 38 2105 (Thai & Eng) Gilly 0871 89 1623 (Eng) Email: [email protected] www.santisookdogsandcats.org/en/cats-for-adoption-2/.